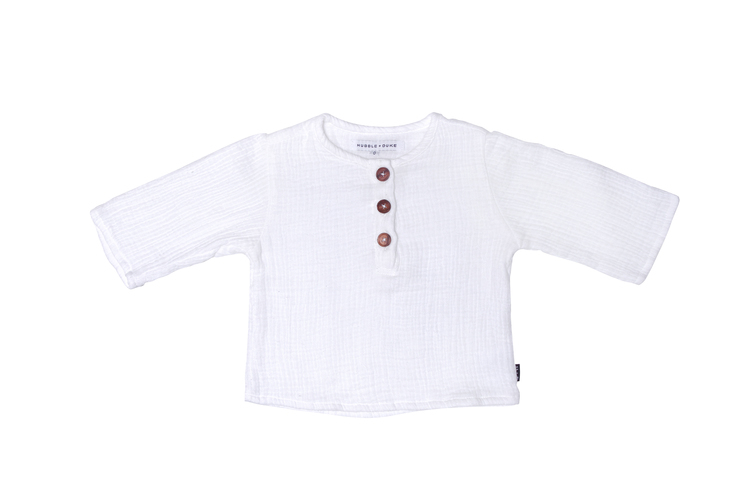 Baby Boys muslin top in crisp white. 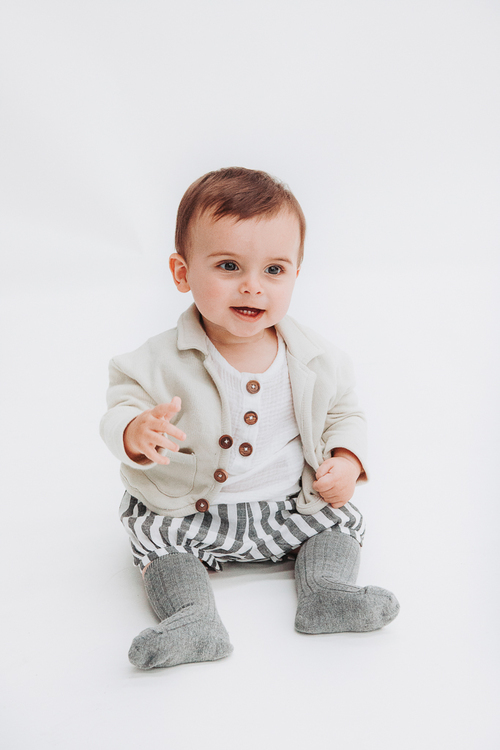 Archer Henley top in White Double Gauze with our new Logo H+D resin buttons. 100% Double Bubble Gauze Cotton/Muslin.